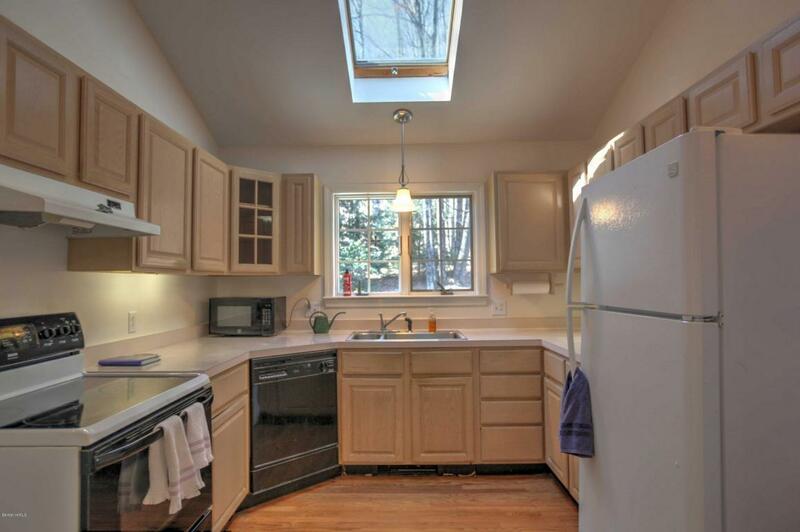 Lovingly maintained by the original owners with 3 bedrooms, including a first floor master suite. Open Plan living and dining rooms, with wood-burning fireplace and a bay window, open to the vaulted ceiling kitchen and sunroom. 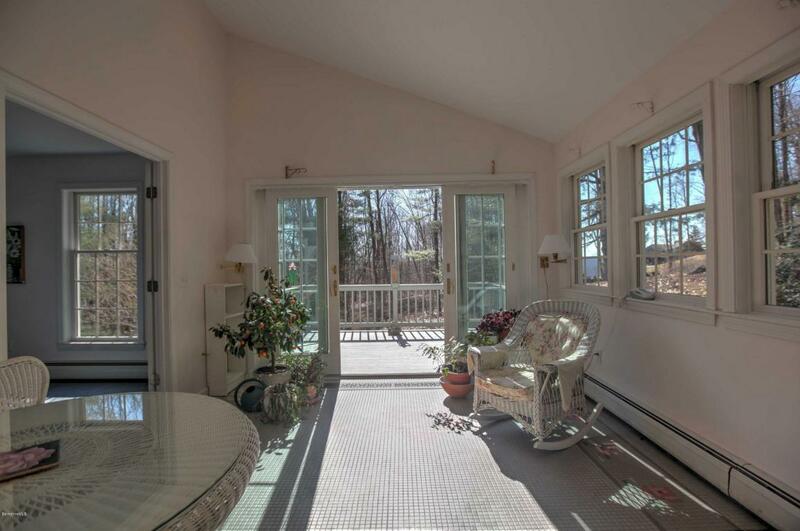 The sunroom has south-facing French doors and a deck – perfect for the distant views. Laundry room with full bath. Master suite with full bath. 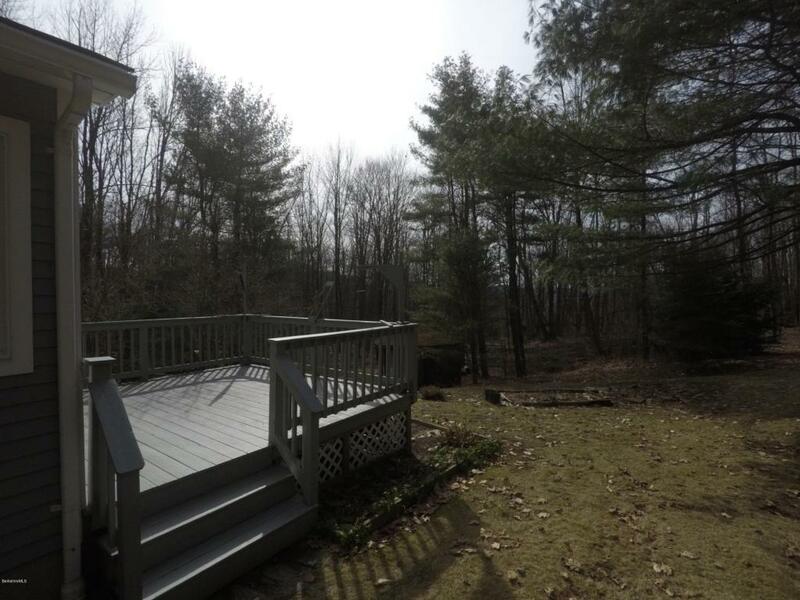 Upstairs are 2 bedrooms with good light and a 3rd full bath, as well as ample attic storage. The large unfinished basement has a wood stove and has been very dry over the years. Beautiful low-maintenance perennial flower beds, firewood storage shed, and lots of storage in and above the attached 2-car garage. Serene, quiet and lovely! Designed for one floor living with guests or family upstairs. It is insanely quiet and peaceful, very seldom does a car drive by. There’s so little light pollution that when you look up on a clear night you can easily see the milky way. You are surrounded by nature – it is the perfect “escape”. The owners first bought the land more than 50 years ago as an escape from a life of constant interruption and working 24/7. In their words, “it is a place one can be quiet”. Many different people will find the home perfect as an AFFORDABLE country escape and sanctuary in a vibrant community of “thoughtful, thinking people”. When the owners retired, they built the house as a “home to grow old in”. The home worked perfectly for them throughout their retirement years, as it is quiet, easy to clean and maintain, and has decent internet, wonderful gardens, abundant birds and animals. 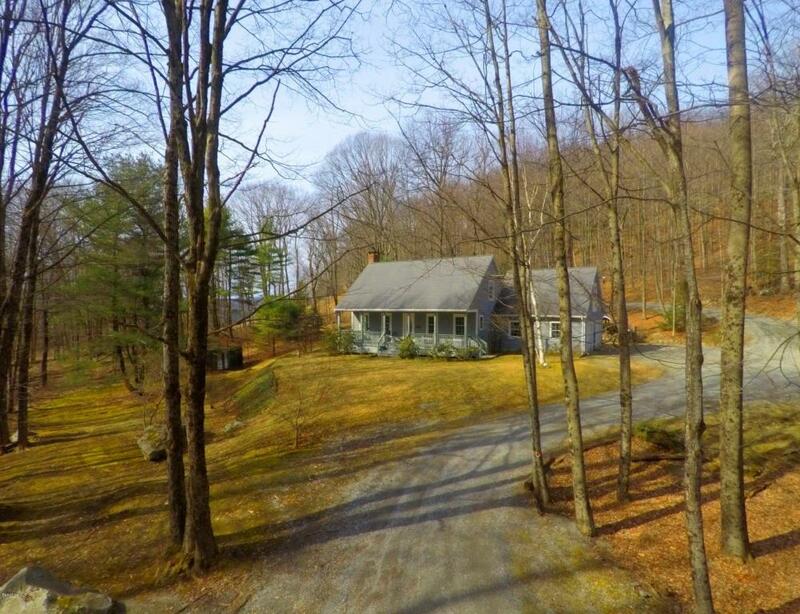 It is also close to Great Barrington, Stockbridge and Lenox. 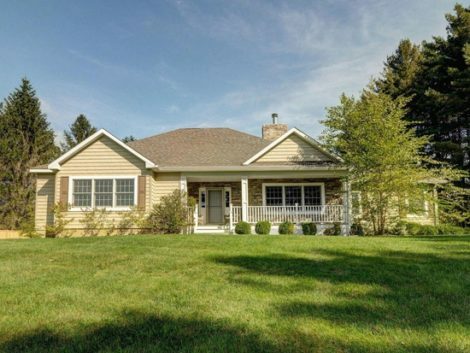 They wanted a home that “was not too much to take care of, but had room for guests and family”. 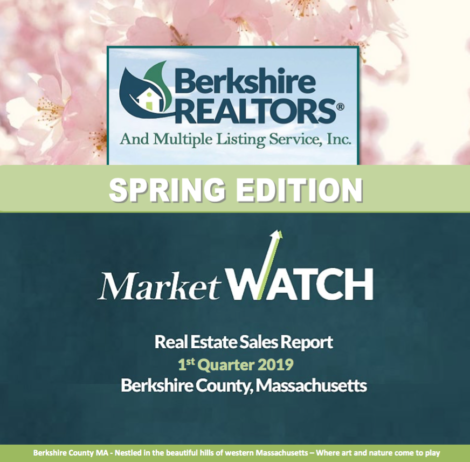 Here in the Berkshires, there are many wonderful properties available, but how many people can afford a $1million home? 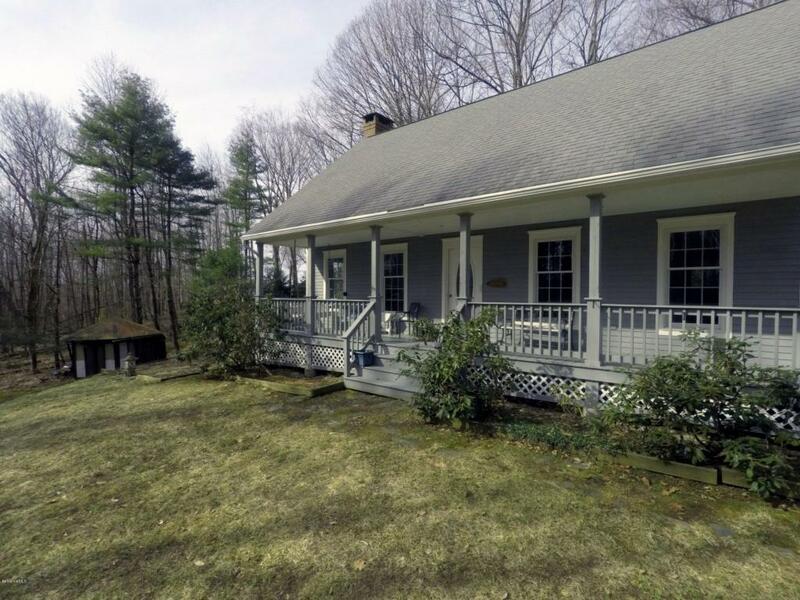 This home, priced at $325,000 and with reasonable taxes, is a home not just for people retiring but also for anyone seeking to buy a first home or an affordable escape from city living, and where family and friends can be together. What do you like to do? 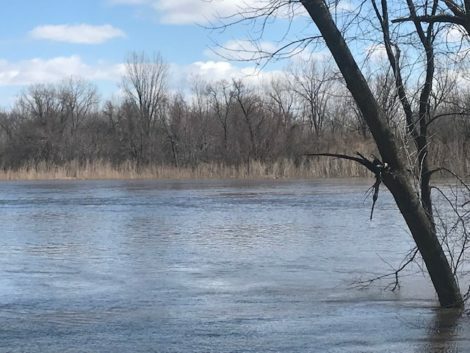 If you want to be outdoors, you’ll be happy to have fishing close by on the Farmington and Clam rivers, hiking in nearby state forests (you can easily walk to one). If you want to exercise your green thumb, you will love maintaining the incredible perennial gardens that surround this home. And in the winter you can cross-country ski or ride in your snowmobile. If you want culture, the town of Sandisfield has its own Arts Center with excellent programs. There are book groups, and “thought provoking people to be around”. Of course, all the culture that the Berkshires offer so abundantly is only a short drive away! The positive energy and karma in this home are not just evident – they surround you in a bear hug. 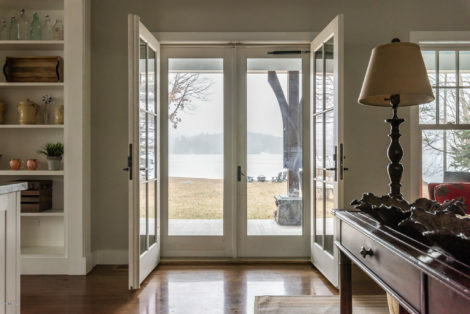 And as this house welcomes you in, you will feel the warmth and love that the previous owners invested here and the wonderfully good times that they, their family and their friends enjoyed over many decades.